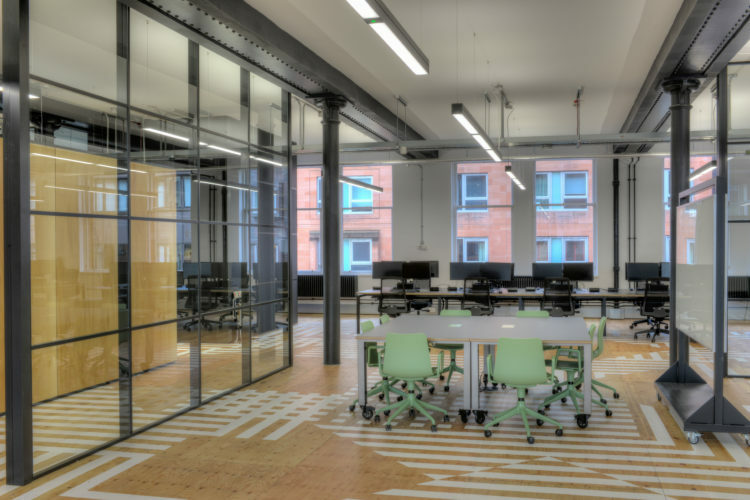 AutoRek, developers of a powerful automated reconciliations software platform, had outgrown their offices on Bath Street and decided to relocate their UK headquarters to the recently completed Garment Factory building. 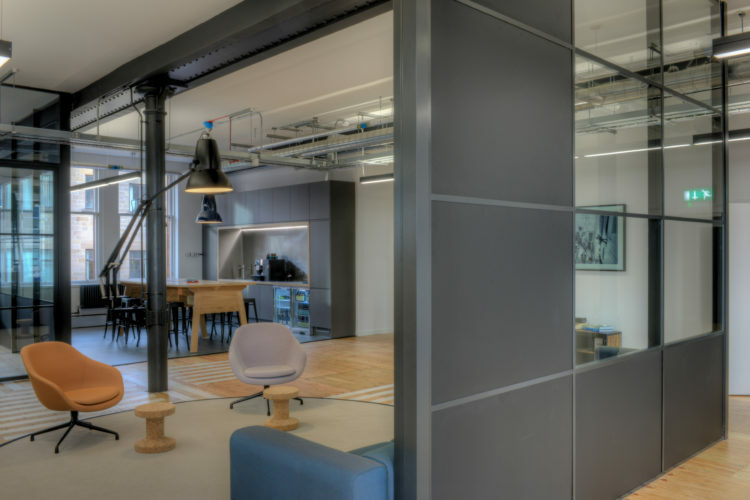 Originally built in the Victorian era as a textile factory, the listed building was extensively refurbished and transformed into modern office space. The refurbishment returned to the original internal layout and restored cast iron columns and other historic features. The Garment Factory offered AutoRek a large uninterrupted floorplate where they could bring their different functions together in one space, flooded with natural light and benefitting from rare views toward the south of Glasgow and to the east the adjacent historic Ramshorn Graveyard; a quiet green public space in the heart of the merchant city. Maintaining the spacious feel of the large warehouse/factory floor plate, flooded with light. 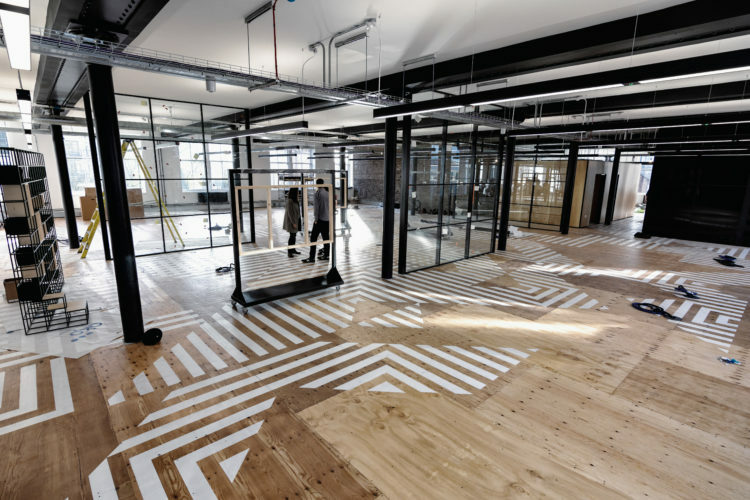 Reuse of the developer’s CAT A fit out. This meant re-using/re-fashioning the plywood subfloor (intended for a Tenant floor finish) and to work with the naturally ventilated building strategy by not installing mechanical cooling. Exploiting the unique warehouse like floorplate, left by the developer with an unfinished plywood subfloor, with an equally unique floor graphic reflecting and representing graphically Autorek’s reconciliation technology. Capitalising on the south facing area of the floorplate, separated in part from the rest of the floorplate by the stair core. 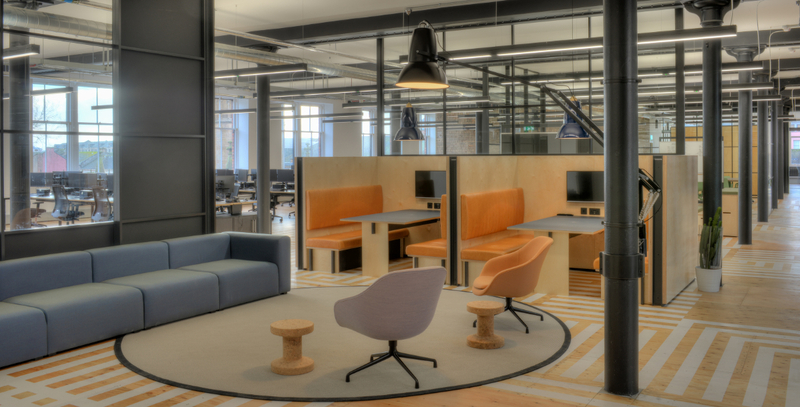 This space was envisaged as a quiet ‘wellness’ zone (without data and power) where staff could relax away from the main workspace. Respecting the original cast iron columns and structural grid. Using sustainable and natural materials where possible including: plywood, linoleum and cork. Fiona Miller, Head of Finance & Business Support at AutoRek, said “Our new head office project marked a significant milestone for the company. 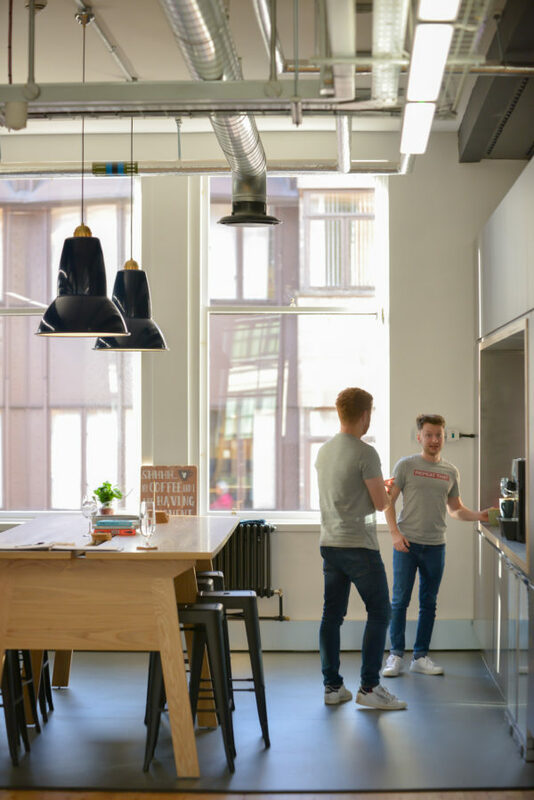 It was vital that we had the right team in place to help us deliver a space that reflected our culture, our business and our future.